Think about when you start a project at home that requires taking something apart, cleaning or repairing it, then putting it back together. How many times do you find hidden aspects to the project when you get part way through it? And, how many times does it take more time and more money than you initially planned to finish the job? That's what happened to the Holiday Inn Select's renovation project. 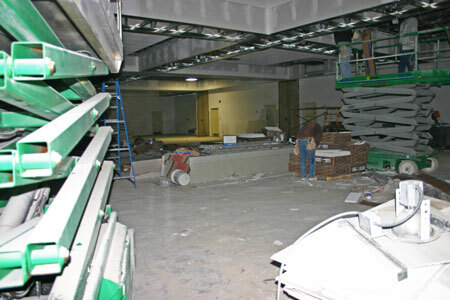 Other issues were found needing repair after the contractors began the tear out prior to the renovation. Those issues took additional time to address. We hope many of you found the news that the show was cancelled - through the dealers, the web site or the telephone line. However, we know several of you made the trip to the location. We apologize for the inconvenience and for the disappointment. Yes, we were all disappointed too. Enjoy the beginning of spring, the flowers, the warmer weather, the buds on the trees, the greening of the plant life and the clear blue skies. We look forward to the next show on April 11, 2010. No, we didn't have the show this month. We are just as disappointed as you that we had to cancel. 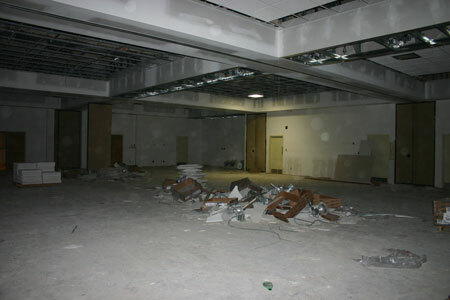 Due to construction delays at the Holiday Inn Select, their ballroom renovation project could not be finished by our show date, Sunday, March 14, 2010. Neither dealers nor guests are picky about a coin show's space. However, the show does require lighting, tables and space to browse. The pictures below provide a glimpse of the space as of Sunday evening around 6 pm. The next picture views the room from near where the bourse entrance is normally located with the camera facing slightly left. 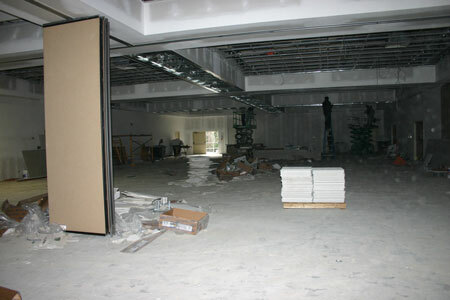 This view is similar but shows more toward the back of the ballroom. 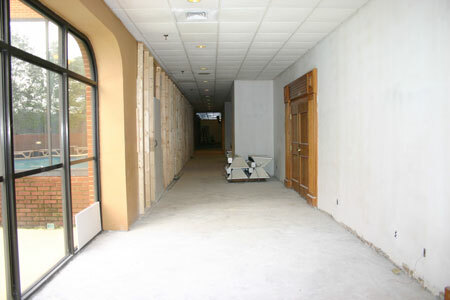 This last picture illustrates the hallway from the guest entrance doors. The door you can see on the right is the where the bourse entry would normally be. The raw studs on the left highlight the temporary wall separating the construction zone from the atrium area of the hotel lobby. 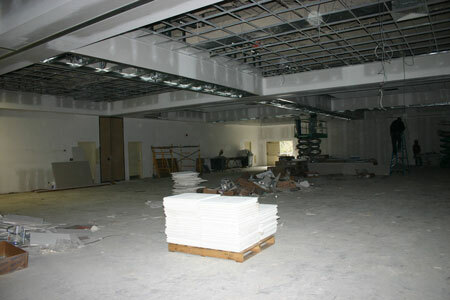 On the floor, several light fixtures wait to be installed. 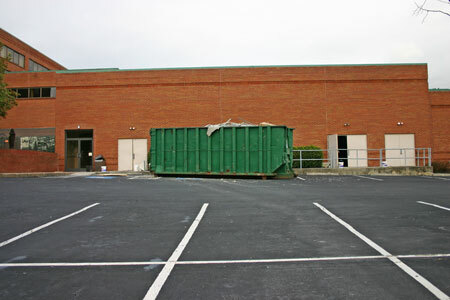 In the back parking area near the entrance to the ballrooms, their construction dumpster sat almost full.